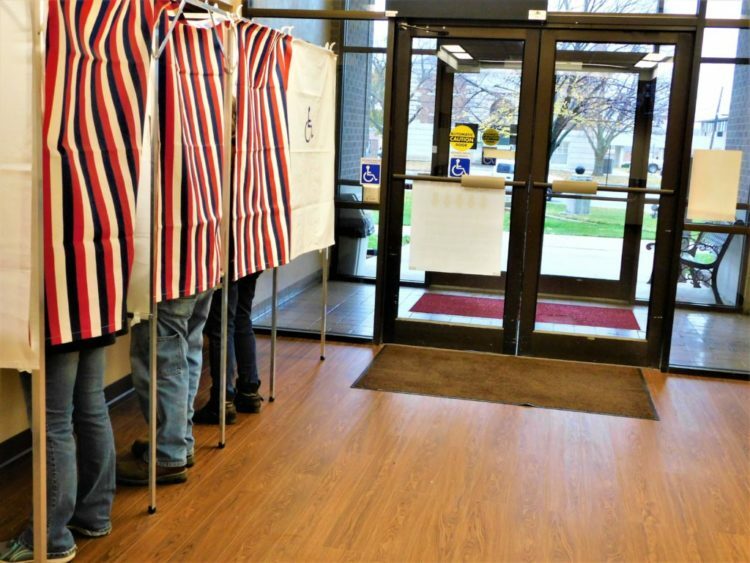 Voters at the Bourbon County Clerk’s Office. 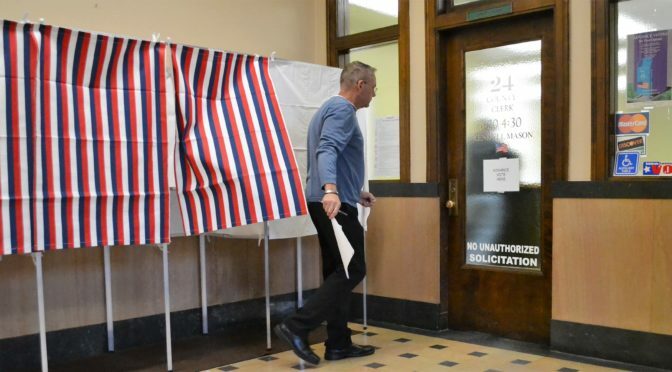 Voters said yes to the question submitted on the Nov. 6, 2018 ballot. Shall the sale of alcoholic liquor by the individual drink in Bourbon County be allowed in public places without a requirement that any portion of their gross receipts be from sales of food? These are the unofficial results of the 2018 November 6, General Election, sent from the Bourbon County Clerk. 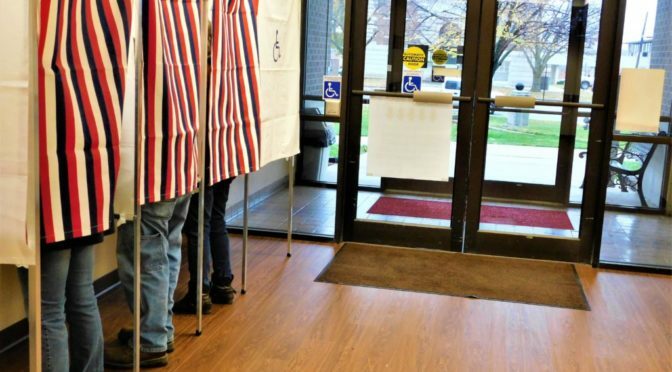 Voters took advantage of advance voting Monday morning at the Bourbon County Clerk’s Office. 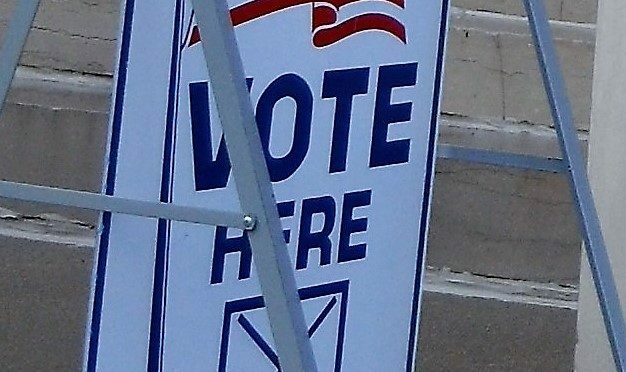 The following question is on the ballot for the Nov. 6, 2018 general election. 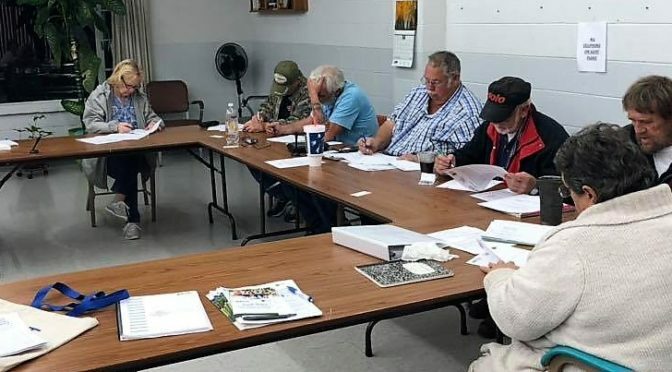 Shall sale of alcoholic liquor by the individual drink in Bourbon County be allowed in public places without a requirement that any portion of their gross receipts be from the sales of food. 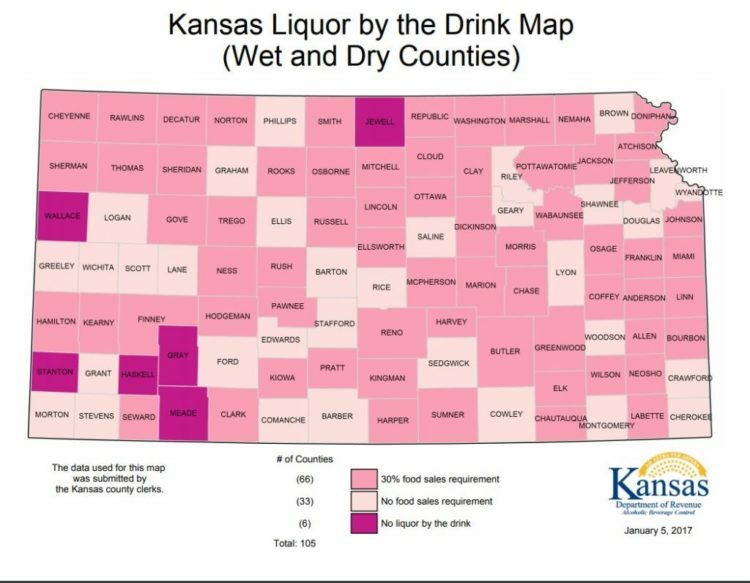 Here is the current map of Kansas that shows the counties stand on this issue. Contests on the ballot are the 2nd District U.S. House of Representatives, the Kansas State offices of governor/lt. governor, secretary of state, attorney general, state treasurer, commissioner of insurance, 13th district state senator, 4th district house of representative, district 9 state board of education, district 1 Bourbon County Commissioner, Bourbon County Treasurer, Bourbon County Attorney, judges for the court of appeals, and district 6 court judge. Drinking alcohol is like playing Russian roulette. Sometimes you get by and sometimes you die. Everybody has their opinion about consuming alcoholic beverages, so we should see what God says about it. “Wine has robbed my people of their understanding” (Hosea 4:11 NLT). That’s plain and simple, no commentary needed. God was speaking in the Old Testament and said, “I chose some of your sons to be prophets and others to be Nazirites. Can you deny this, my people of Israel?” asks the Lord. “But you caused the Nazirites to sin by making them drink wine, and you commanded the prophets, ’Shut up!’” (Amos 2:11,12 NLT). In the Bible, the Nazirites were set apart for God’s use and were not to drink wine. Today, Christians should desire to be sanctified (set apart) and dedicated to doing God’s work. In another scripture, God says, “Suppose a prophet full of lies would say to you, ‘I’ll preach to you the joys of wine and alcohol!’ That’s just the kind of prophet you would like!” (Micah 2:11 NLT). That’s plain and simple, no commentary needed. Now we should see what life says about drinking alcohol. My mother had twelve brothers and two of them had miserable lives as alcoholics. The obituary for H.R.J. stated “he departed this life following a long illness.” After brother E.A.J.’s death, his wife wrote in a letter to a family member, “I sympathize with drinkers. If Elmer had only realized how hard he made it on his girls he would have quit. I’m sure.” The autopsy report revealed that he died of pneumonia and cirrhosis of the liver. Drinking alcohol is like playing Russian roulette. Sometimes you get by and sometimes you die. It isn’t worth the risk. Perhaps you say, “I can handle it.” But what about your children and grandchildren that you influence…can they handle it? 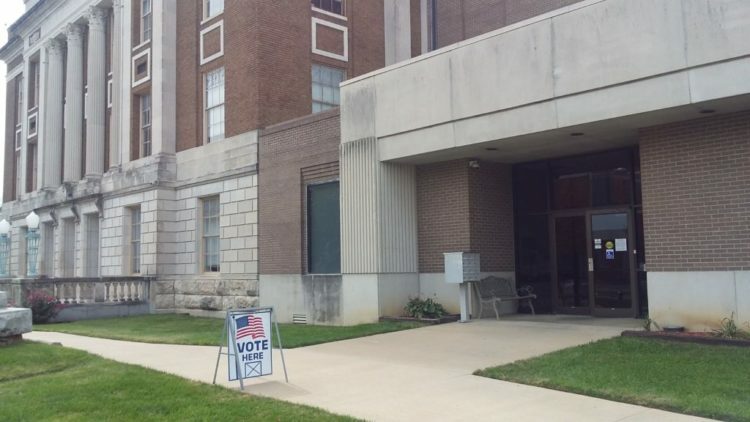 The vote here sign sits in front of the north wing of the Bourbon County Courthouse, 210 S. National. Advanced voting is happening now through noon on November 5 on the first floor of the Bourbon County Courthouse, then on the November 6, registered votes vote in designated polling places. If you have any questions please call the County Clerk’s Office at 620-223-3800. 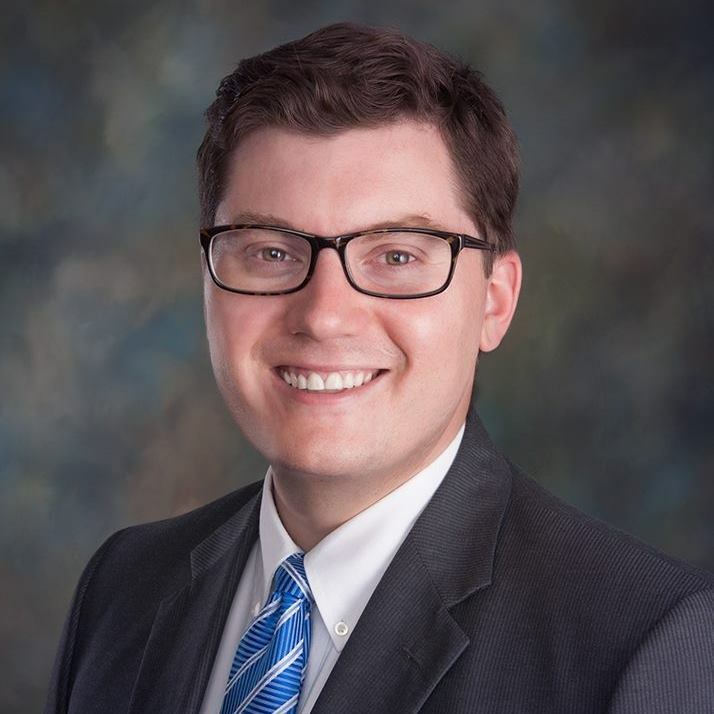 Name: Adam J. Lusker Sr.
What is the biggest issue, if elected, and how do you plan to address it? Maintaining a consistent revenue source, to ensure our budget is balanced and meets the needs of our community. Give your views on the sales tax. Sales taxes are regressive taxes. Higher sales taxes affect people’s buying power in a negative way, especially our lower and fixed-income citizens. Therefore, food sales tax impacts these same folks adversely. Our sales tax also puts border counties like ours at a disadvantage economically in regard to retail sales, food, mercantile, equipment, etc, with our neighboring state. I think we should work to reduce food sales tax, as well as sales tax in general as other sources of revenue, are realized. Give your views on legalizing marijuana. I do not believe Kansas is ready for legalizing marijuana. Several states are still continuing to deal with legal marijuana. We were a test site for a very costly tax plan; I think we should let other states be the petri dish on this experiment. Give your views on health care for our state, including Medicaid. We should continue to find ways to reduce health care costs, increase access to medicine and promote wellness in our state. Regardless of anyone’s opinion of the Affordable Care Act, it is law and Kansas has to take advantage of all we can to keep our hospitals open. Kansas taxpayers have sent over $3 billion of our money to other states to expand Medicaid. The numbers show that expanding Medicaid would have a positive impact on our healthcare systems and our communities. Give your views on abortion and Planned Parenthood. I have a pro-life voting record and will continue. I think we should continue to invest in adoption and education to prevent unwanted pregnancy. 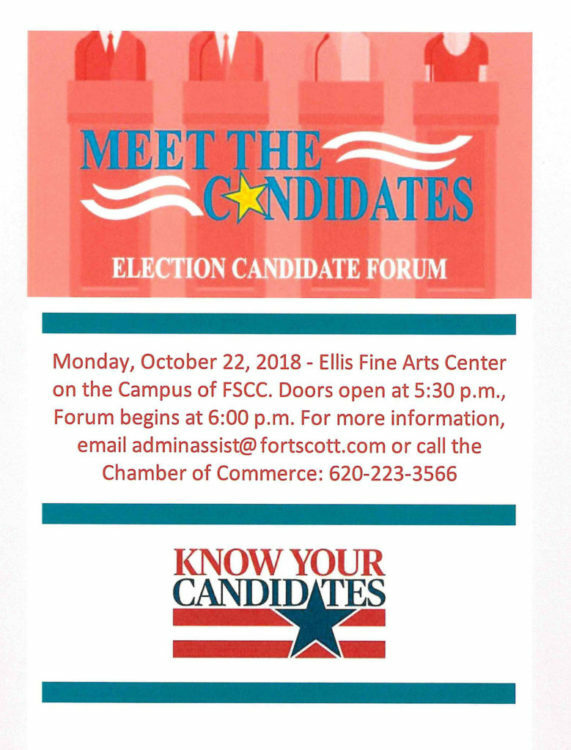 Candidates Forum Oct. 22 at 5:30 p.m. 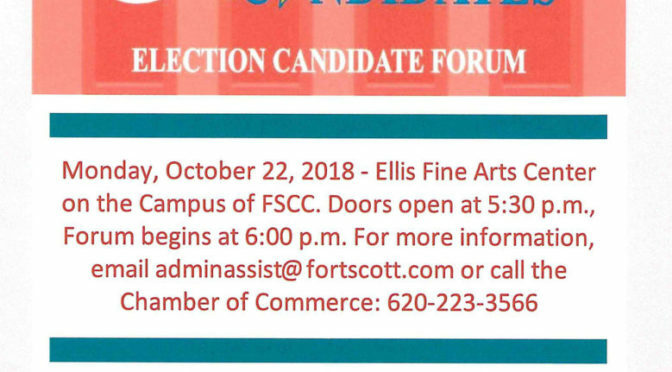 Doors Open 5:30 p.m., Forum Begins 6:00 p.m.
FORT SCOTT – The Fort Scott Area Chamber of Commerce announces a Candidates’ Forum for the 2018 General Election will be held Monday, October 22nd at the Ellis Fine Arts Center on the campus of FSCC, 2108 S. Horton. The doors will open at 5:30 pm and the forum will begin at 6 pm. Attendees are invited to arrive early to meet and greet the candidates. Races that have been invited to the forum include Governor/Lt. Governor, U.S. House of Representatives District 2, Secretary of State, Attorney General, State Treasurer, Commissioner of Insurance, Kansas Senate District 13, Kansas House of Representatives Districts 2 and 4, State Board of Education District, Bourbon County Commissioner District 1, Bourbon County Attorney, and Bourbon County Treasurer. 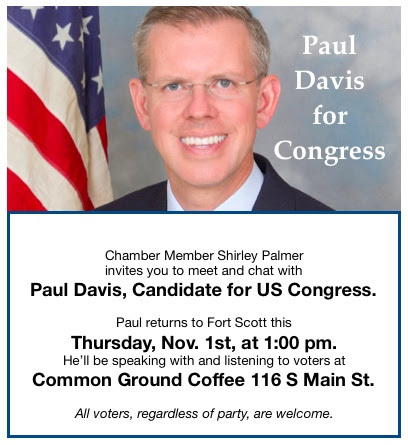 The general public may submit questions to the Chamber prior to the event by submitting them via email to information@fortscott.com or dropping them off at the Chamber, 231 E. Wall Street, by 12:00 p.m., Monday, October 22nd. There will also be information presented at the forum on the “Liquor by the Drink” local issue that will be on the ballot for Bourbon County. The forum will run in the hierarchy of offices from the federal, state, then local level. Candidates will have the opportunity to make a one-minute opening statement and two-minute closing statement. Three questions will be asked of each candidate, with each candidate being allowed one minute to respond. Individuals representing candidates, not in attendance will be given an opportunity to make up to a three-minute statement. For more information please contact the Fort Scott Area Chamber of Commerce at (620) 223-3566.